Our holiday villa is matchless for giving you that 'home away from home' feeling. Comfortable, modern, spacious, with plenty of natural light. Villa is just a 5 minutes away from the sea in the beautiful area. The garden is planted with trees which are surrounding the house , the villa is very spacious and equipped like a real home. The area with a table in the garden provides perfect alfresco dining. If cooking is too much trouble, there are some lovely restaurants in a short walking distance. The location is wonderful, a stone's throw away from Dan Acadia, where there is a beach & promenade, with ideal swimming areas for children as well as adults & within very close proximity to yacht hire, sailing lessons, diving schools, wave surfing, wind surfing, kayaking , jet-ski, tennis courts and bike hire. Location is perfect for relaxing in the sunshine and swimming in the sea. the beach is sandy and it’s really pleasant to walk along the shore or just to sit in one of the sea-front bars sipping a glass of wine. We weren't sure what to expect and it turned out to be a fabulous spot for our holiday. The bedrooms were spacious, the kitchen was very well appointed and equipped, a large living room and a big green garden. We came to love the place as it was quiet, refreshing and offered plenty of space to lounge. Access to the property from the beach is a short walk away. Owner was nice and reservation was easy. Villa was clean and it offered that "home away from home" feeling, we felt very comfortable. The Villa is short drive from Tel-Aviv , there are some great restaurants in the area, big shopping mall next to Herzliya marina which is 10 minutes by foot and many opportunities for sport lovers. We loved it. Great home. we couldn't pick a better place! 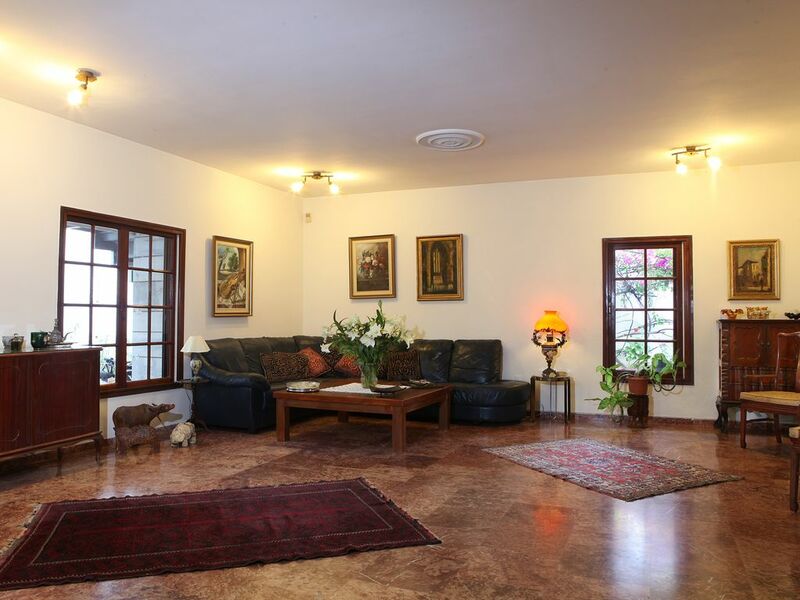 It is a beautiful villa and great location, for those who like summer Israeli holidays very near to the beach. The house is just as described in the pictures and text on the websites Nira made sure that we had everything we needed when she introduced us to the villa. We were a group of adults and teenagers. Everything is spotlessly clean in the house, and garden area is perfect, really is as beautiful as indoors here. All the desired elements were there and it did not disappoint our expectation. Thank you for a lovely holiday. We'll definitely come again. It was our pleasure Maria! Le confort, l'espace, l'accueil très chaleureux, l'agencement et tous les petits plus (pastilles lave-vaisselle, café, thé etc.....) Très confortable et très propre. Super ! Rien à redire. I stayed here for a week with my extended family. The main floor is spacious and beautiful, garden too. A large dining room table easily accommodated all of us for meals, card games and laptop use. The house was very clean. The bedrooms were nice. The bathrooms were also clean and well functioning. It is an easy walk from the villa to restaurants and bars on the beach. The neighborhood is very nice. The owner made sure we were able to find what we needed and operate all utilities etc. We would absolutely go back! We highly recommend it. It was our pleasure hosting you in our place.